Bed bugs have become a popular topic nowadays. With the globalisation of the world and the increasing amount of people travelling, it is not just the usual preparations that have to be taken care of when travelling these days. In our practice, it is quite often that we receive calls from anxious customers that tell us about the nuisance bed bugs are causing them (e.g. sleepless nights, constant itching, swelling in cases of allergic reactions to bed bug bites, etc.). During our conversations we are trying to figure out what the reasons for introduction of the infestation might be. Most often than not, it is a recent travel that had taken place. Whether it is for work or holidays, a countryside getaway, friends or relatives staying over or a night out of town, you may end up bringing back more than you had taken with you initially. 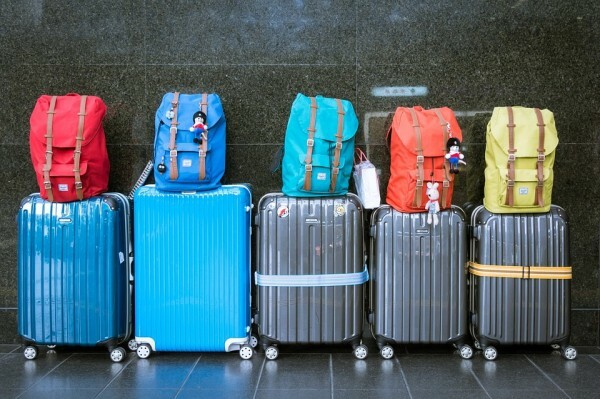 The reason for this post is the increased number of customers telling us that when they opened their luggage at home after a travel they witnessed a few or several bed bugs crawling out of their suitcases. This made us wonder how the bed bugs choose to go inside the luggage and not anywhere else in the room and what makes them go there. This has its reasons and explanations. A research has been done by Harraca et al. using a special software for video tracking and analysis of animal and insect behaviour, movement and activity. Bed bugs can detect certain body odours through the sensilla on their antennae. Explored by the team are their behavioural reactions to the aldehydes forming the human odour (heptanal, octanal, nonanal, and decanal and the ketone sulcatone). The result of the analysis concludes that the bed bugs are not strongly attracted by the human odours but they are capable of recognising them. This is related to the fact that they do not need to sense their hosts from long distance like the mosquitoes, for instance. They can also sense the CO2 and the moisture around people, which help them to locate their hosts better. However, the fact that the bed bugs are able to detect human odour allows us for the assumption that it is the main reason for them to locate the luggage bags, where we keep our clothes during travels and where the human odours are not as strong as when they are released directly from our bodies, and this allows them to settle in between the clothes, where we can easily take them with us back to our homes. This results in a new infestation started in a new home. The bed bugs need a few days to settle down in a new place and once they feed they may need to feed again in 3-4 days. This is the reason some people think initially that their bites are from mosquitoes, rather than bed bugs. Slowly, the pesky pests start leaving the physical signs, which are a good way to identify the infestation – dark rusty stains on the sheets, little black flecks around the skirtings of the walls and around bed frame, as well as around the seams of the mattresses. Once an infestation is identified, it is a good idea to clean the whole premises of all sorts of piled boxes and storage under the beds and around the corners of the rooms, wash all bedding at minimum 60C and try to keep he property as clean as possible, vacuum cleaning on a regular basis everywhere one could reach. Sealing and disposing of the contents of the vacuum cleaner afterwards is strongly recommended as any trapped bed bugs may try to make their way out again. If you feel that you cannot deal with the infestation yourself, it would be best to call a professional extermination service provider, who would be able to solve your problem using professional methods and advice. Harraca, V.; Ryne, C.; Birgersson, G.; Ignell, R. (2012). Smelling your way to food: can bed bugs use our odour? The journal of experimental biology, 215, 623-629. Harraca, V.; Ignell, R.; Löfstedt, C.;Ryne, C. (2010). Characterization of the antennal olfactory system of the bed bug (Cimex lectularius). Chemical senses, 35, 195-204.